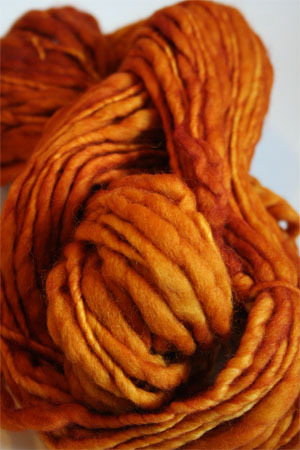 Beautifuly Orange sunset is a wild and gorgeous kettle dyed color with lots of different oranges, some yellows and some dark golden oranges, too. PLEASE NOTE: THIS IS A DISCONTINUED YARN - IT CANNOT BE RESTOCKED - ONCE IT"S GONE, IT'S GONE! GET YOURS NOW!